As the Russian Airforce is deploying its TU-22M3 ‘Backfire’ aircraft into the recently incorporated area that is Crimea, there are several things changing for the NATO and other military forces in the region. While the political situation has everything to do with these being added to the might of the Russian air and sea fleet over there, the relevance to the whole situation is not that important at all. The idea behind this is to show how the Russian military, albeit strapped for cash in more ways than one since the Soviet Union took a nose dive, does have more than capable military hardware to mess up plans for United States Navy, let alone some other, smaller forces around the world that are part of NATO for example. 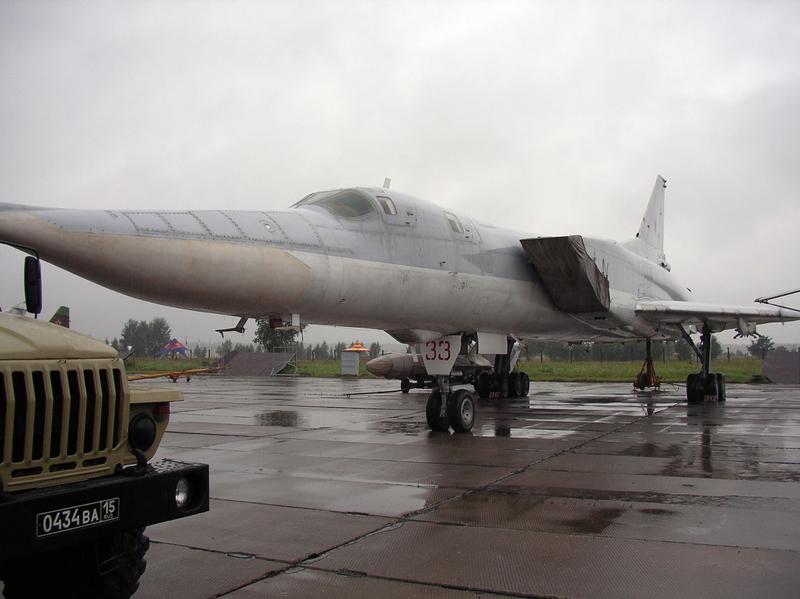 The TU-22M was part of Russia’s quest for a strategic bomber, capable of carrying more than enough firepower to make any military or navy cringe. This swept-wing strategic bomber might look rugged and rather simplistic in shape (compared to modern day western bombers), but this supersonic beast has all the firepower to mess up any navy captain’s day in a hurry. The title says it all: the Russian airforce and navy never really bothered with countering United States Navy in carrier might. Simply, there was no reason to do that. On the other hand, they had more than enough firepower to protect themselves from any and every carrier strike group out there: land based TU-22M airplanes, SLAVA class missile cruisers and other, preferably missile equipped vessels (above and beyond the surface) like the Kirov class battlecruiser or the Akula class submarines. The main idea behind this was to use their supersonic and hypersonic missiles, but also cruise missiles, all in the idea to destroy a U.S. naval carrier and eventually (after the carrier destruction, when the air power is defeated) the rest of the support group as well. The TU-22M was well countered by the usage of the F-14 Tomcat air wings, found on the aircraft carriers for the duration of the cold war, providing air cover for the fleet ships overall. These, with enough range and the Phoenix missile, could engage the Mach 1.6 capable strike groups of the said plane with a great deal of effect at distance that allowed to carrier group to stay safe entirely. The Tomcat is (sadly) long gone from the carriers. Replaced by the capable (albeit not in the same way realistically) F/A 18 Hornet for the defense and attack capabilities. This means that the carrier groups, even though shielded by the AEGIS on board navy ships, still lacks the stand-off defense capability, offered by the F-14 Tomcat and the above mentioned Phoenix missile. 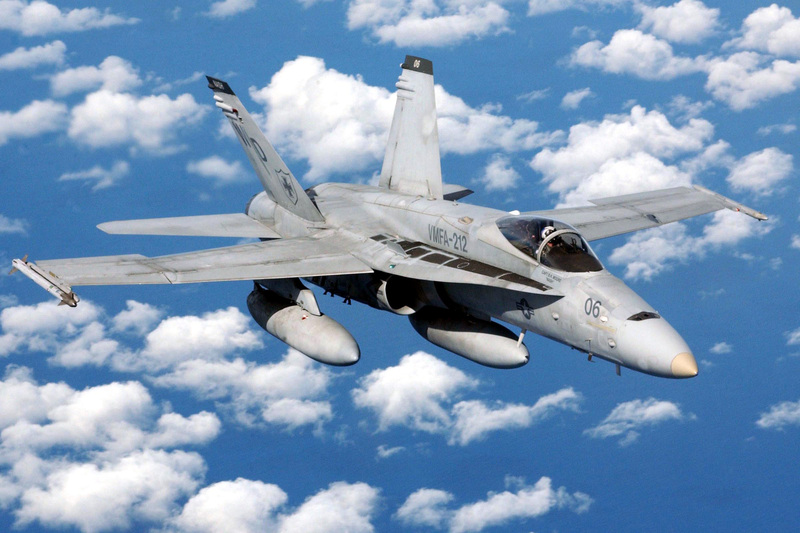 Anything carried by the F/A 18 Hornet, in terms of air-to-air missiles, cannot combat these air squadrons before they launch their deadly contents on the groups. This, when the carrier attack group discovered the incoming bogies of any type, could engage these at distance, thanks to the missile available, projected range and overall, with greater efficiency as well. 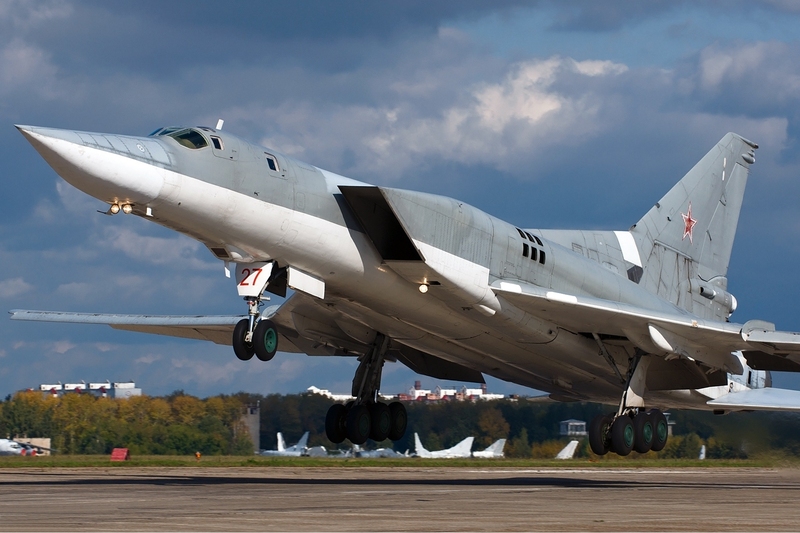 The logic stands, where the TU-22M would dash along the Russian borders, achieve its top speed, launch its BVR missiles at the carriers, then scoot back to safety of the Russian airforce’s anti-air and other protection capabilities that would grant it safety after the attack happened. While the carrier or any other navy cluster of vessels does have anti-aircraft capabilities, deploying a swarm of either one of the anti-ship stuff found in Russian inventory would be a tough pill to swallow for any CIWS or other means of defense within the ships present. There’s one lethal counter to the TU-22M: the AIM-54 Phoenix. 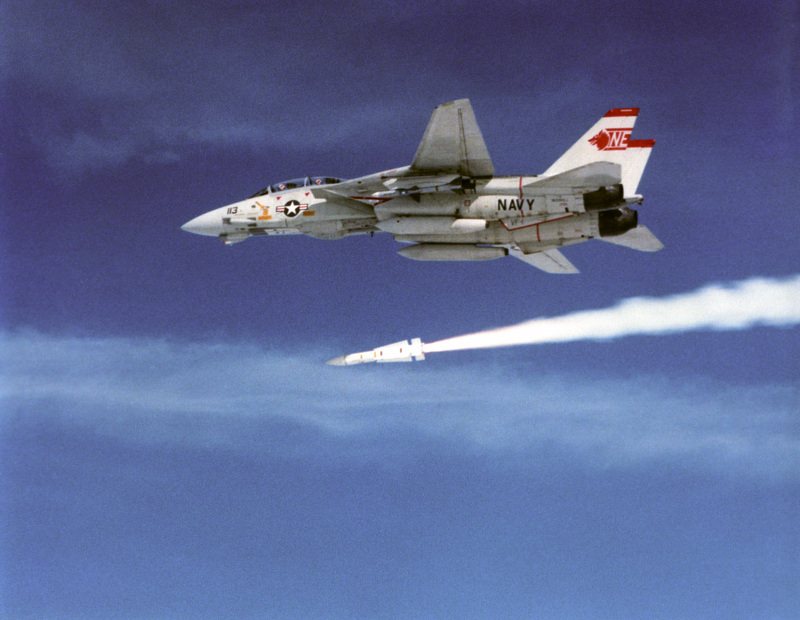 The AIM-54 Phoenix is a radar-guided, long-range air-to-air missile (AAM), carried in clusters of up to six missiles on the Grumman F-14 Tomcat, its only launch platform. With several guidance modes, the Phoenix is a worthy opponent and a classy match for Russia’s strategic bomber force – primarily the TU-22M and TU-160 airplanes then. The Phoenix achieves its longest range by using mid-course updates from the F-14A/B AWG-9 radar (APG-71 radar in the F-14D) as it climbs to cruise between 80,000 ft (24,000 m) and 100,000 ft (30,000 m) at close to Mach 5. The Phoenix uses this high altitude to gain gravitational potential energy, which is later converted into kinetic energy as the missile dives at high velocity towards its target. At around 11 miles (18 km) from the target, the missile activates its own radar to provide terminal guidance. The minimum engagement range (the minimal distance for the missile to hit the target efficiently) for the Phoenix is around 2 nautical miles (3.7 km) and active homing would initiate upon launch. With an operational range of up to 190 kilometers, this would prove to be a better fit to target combat aircraft coming in from Crimean air bases. How is this possible? The Russians, as stated earlier, always liked to counter the US Navy and its carrier forces with anti ship missiles. 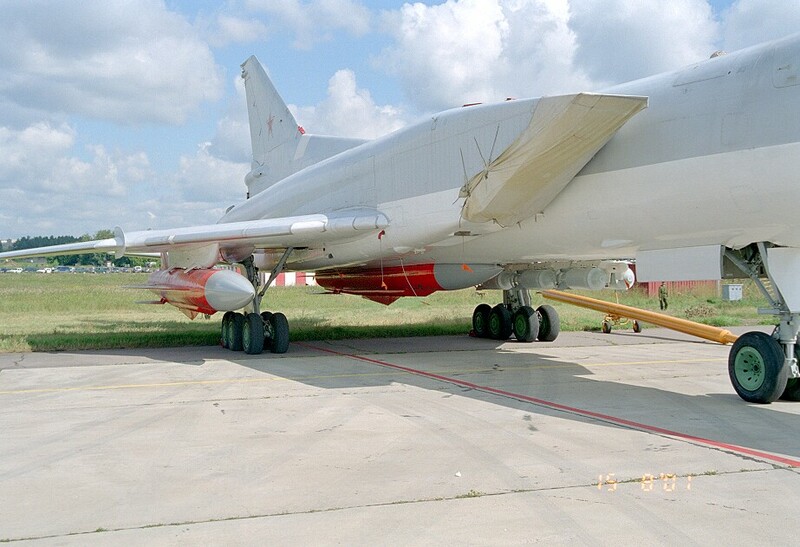 With the TU-22M, there are two significant aircraft based anti-ship missiles used. These are the fastest anti-ship missile in service today, the Kh-15, NATO name ‘Kickback’ which can plow in to an altitude of about 40,000 m (130,000 ft) and then dives in on the target, accelerating to a speed of about Mach 5, which makes it the fastest aircraft-launched missile to date. Some believe that even without it’s high-explosive contents it would still do a lot of damage to the ships with kinetic energy alone. With a 300 kilometer operational range, there isn’t anything the current air wing airplanes found on the US Navy carriers can throw at them, before they launch their missiles – when you count in the distance to target seen there. The second one is the The Raduga Kh-22, NATO name ‘Kitchen’ that is a cruise missile, a ship destroying thingie that flies in at mach 4.6 to its target. The Kh-22 uses an Isayev liquid-fuel rocket engine, fueled with TG-02 (Tonka-250) and IRFNA (inhibited red fuming nitric acid), giving it a maximum speed of Mach 4.6 and a range of up to 600 km (320 nmi). It can be launched in either high-altitude or low-altitude mode. Both modes can be used in a swarm type of an event, allowing several TU-22M bombers to launch their missiles in various modes and overwhelming a possible target. In high-altitude mode, it climbs to an altitude of 27,000 m (89,000 ft) and makes a high-speed dive into the target, with a terminal speed of about Mach 4.6. In low-altitude mode, it climbs to 12,000 m (39,000 ft) and makes a shallow dive at about Mach 3.5, making the final approach at an altitude under 500 m (1,600 ft). The missile is guided by a gyro-stabilized autopilot in conjunction with a radio altimeter. With, let’s say six of the TU-22M’s attacking the particular navy group, this would mean that each carries four of these, totaling 24 missiles headed in various configurations, probably overwhelming any CIWS it encounters. if both the high-altitude and low-altitude modes are used, the ships and their defenses might prove to be overmatched for the swarm of missiles headed into their hulls that way. This means that, with swarms of TU-22M’s hurdling at 1.6 mach, unleashing either the long range or short range anti-ship missiles, any and every carrier battlegroup would be pressed to combat these attacks. 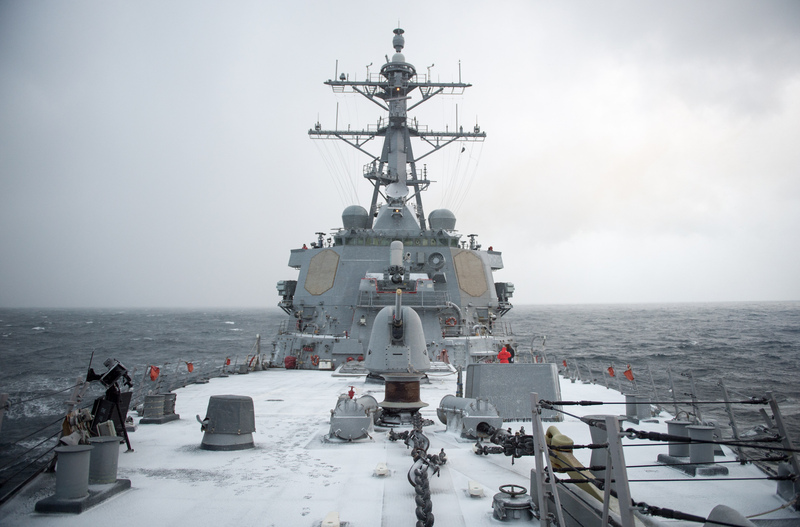 In other words regarding this, that the current Black Sea deployment from NATO, consisting of the Standing NATO Maritime Group Two (SNGM2) vessels the flagship USS Vicksburg (CG 69), HMCS Fredericton (FFH 337), TCG Turgutreis (F 241), FGS Spessart (A 1442), ITS Aliseo (F 574) and ROS Regina Maria (F 222), might be too little too late to combat Russia’s power over there. With the probable Kilo-class diesel-electric submarines lurking around, all armed with similar destructive means, the overall firepower the Soviets Russians are capable of launching at any NATO task group – is impressive. 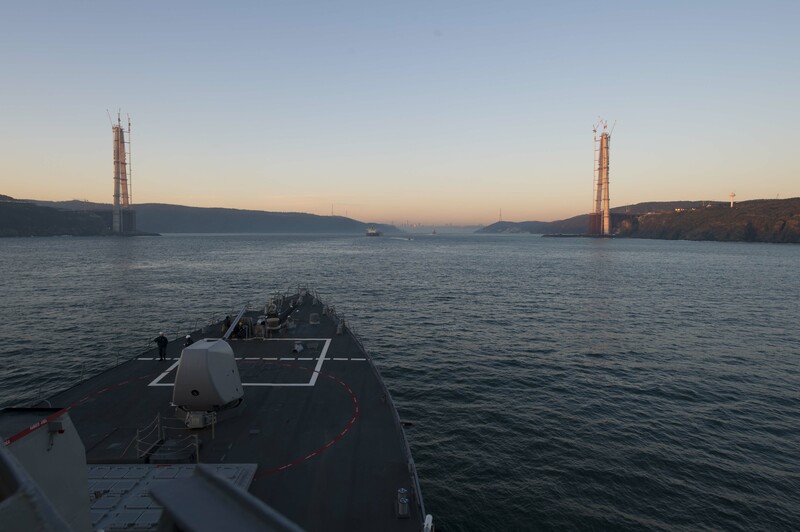 In a way, the Black Sea security situation changed quite a bit with the introduction of these weapon systems, entirely changing the possibilities of any country, even the United States to engage Russian targets in that area. With the geographical situation making the Black Sea Russia’s own little pond, these airplanes, together with the naval might of the Black Sea fleet together with these weapon impacting the strategic relations, might provide the naysayers with the final shut up about the Russian military power alltogether. At least in this aspect. The US couldn’t fight the Taliban after 14 years and someone would expect it to fight the Russians with any hope of winning? People need to see the US for what it is….weak and out of ideas. It’s more about the nature of the war in a insurgency conflict like that compared to an all out war with another powerful nation since these two are fully and completely different alltogether. The USSR couldn’t fight the Taliban in Afghanistan and left in humiliating defeat. The US was substantially more successful in that conflict. As Vanja Kijaic has pointed out, it is the nature of insurgency that just continuing to exist is considered a “victory,” despite having nearly 0 strategic wins. If America’s success is measured by the number of losses it obtained on the battlefield then the superpower isn’t doing something right. Had it not been for America supplying the Taliban back then i don’t think the USSR would’ve been humiliated. Suppose the Russians did the same in Afghanistan now that the Americans are in i wonder what the casualty rate would’ve been. America isn’t as powerful as they have made it seem. Let them start fighting the Russians now so we can tell who is who and put the american myth to rest. Had it not been for the US supplying the USSR in WWII, you would be speaking German today. Russian incompetence (like Stalin’s decapitation of the Army in the late 30’s) was only barely offset by the incompetence of the Italians (delaying Barbarossa by 4 months), an unusually harsh winter, and American charity through Minsk. Look at how many railroad engines were manufactured in the USSR during WWII vs. the number imported from the US – the ratio is close to 1:1,000. Even the armor plating on the T-34 was from the US, and almost all the transport vehicles were built in cities like Detroit and Cleveland. America’s military performance is not a myth. 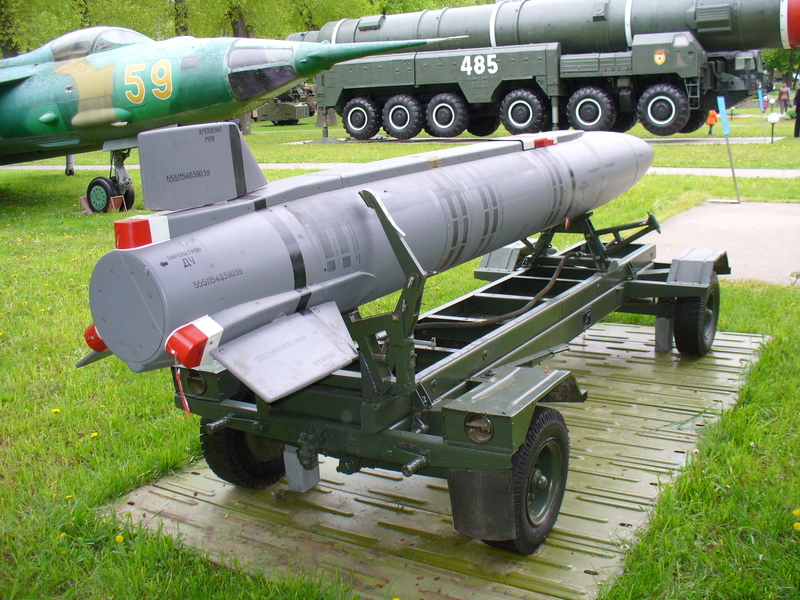 The US and USSR used many conflicts for testing various weapons systems over 50 years. Generally, the US systems either started out vastly superior or were adapted to be so. Look at Operation Rolling Thunder (North Vietnam) or the Korean Air war (6 MIGs destroyed for every single F86 Sabre lost) for examples. Like in WWII, it’s the economy determines the likely victor, not an individual weapons system. Thank to the cronyism and corruption rampant throughout the former USSR, the economy is dwarfed by the US in both size and diversity. It also doesn’t help that the average Russian drinks himself to death 30 years earlier than his US counterpart. People on either side might rattle their sabers, but only a complete fool would pull one out. Perhaps that’s why Putin was wise and did not intervene in the US attacks and numerous victories over the Taliban. And if you doubt these victories, just ask Osama Bin Laden about how effective and tenacious the US can be in gutting a terrorist organization. What’s wrong with speaking German? There are lots out there speaking it. There are some more learning it now as we speak. I actually don’t mind learning it. I find a lot of wrong with speaking english. engish isn’t the anointed language of the world! We speak whatever language we are born with and the ones we learnt. Mono-linguist like yourself need to get out of your borders and see the rest of the world….it is an eye opener. I’ve been all around the world, and am familiar with many languages. You assume too much. Good you’ve been around the world and that you are familiar with many languages. That’s actually a plus for most english speakers who think there are places out there other than their ”native” land and that english isn’t the most decorated language for those who don’t care about it. As for my making assumptions, i am trained to make assumptions on things you are not familiar with and i think most of us should do that when we can until you get the facts. Prove it. Which facts are incorrect? Amrit, I’ve worked with many people from the former USSR. I assure you, at least in terms of compter technology, Russia was primitive, often decades behind the west. By 1900, the US had the worlds largest economy and was the leading manufacturer of all forms of goods. kkk,we shall publish a joint article then dear.u shall contribute ur own evidence proving usa to be technically superior to europe in 1900, and i shall prove that ussr was in no way or was much more technically advanced in many respects than usa after 1960; till its demise in 1990, n many of soviet weapons from 1980s are still superior to anything offered by west including so falsely propagated cancer machine f22. and most importantly dep! u ought to know marx is still playing in both camps.russians hijacked marx n turned marxism into miltary state,whereas marx advocated abolition of state, soviets represnted labour class as superpower,to which colonial powers answered by turning labourers into mercenary terrorists paid by usa,hence,the birth of al qaida n hollywood movies. i had to log in before every comment n every time i was compelled to offer my phone,email,contact details n after our honble supreme court verdict about eliminating 66 a,ue sites generaly block me as usa n its propagandists feel truth the ganga jal,which may burn evil.i m still here after so many tests,however none of russian site conducts such tests as us sites,hoeever i can show that i have termed those sites as mere propaganda,falsehood,primitives etc.but they never banned me n asked my credentials.so its us which filters news n opinion before publishing muchore than russians.russians may be worse at many points,but as humans thay faired far better than the americans n despite being the strongest killed far lesser than genetically aggressive n parasitic west european successor superimposed state on the ruins of a well off civilisation in american continent,which onceagainshows its colonial tendencies more than anyone else.dnt talk about last 25 years,talk about last 300 years of westrrn misadventure into east n billions of murders till date. just because russia didnt help taliban as usa did against ussr.othrrwise usa could not have survived for a month there. Amrit, you believe your own silly propaganda. First, ask yourself why the US aided the Taliban in the 1980s and why the USSR couldn’t do anything about it. Then ask yourself why Russia did not get involved in the recent Afghanistan campaign against the Taliban. The answers are obvious. First, the US aided the Taliban and other tribes in Afghanistan because the USSR could offer no compelling response. The US used this to further weaken the largest threat to the US. The strategy appears to have worked. Second, Russia did not get involved in the recent Afghanistan action because Putin is not a moron. It is in their mutual interest to see the Taliban gutted, and getting involved would only have resulted in negative outcomes for Russia. We can play outlandish mind games all day, but I assure you, Russian involvement was considered and neutralized well before the invasion of Afghanistan. no u idiot! it was just because west is tradional colonist,plunderer n parasite,while east goes by its own moral values due to being age old surviving civizations,which were destroyed long ago in the west by tribal savages from europe. You are the obvious idiot. Eastern civilizations such as the Monguls, or the Chinese, or the Russians all ruthlessly plundered their neighbors and their environments. The western civilizations were just better at adapting and extending their influence. They benefited from greater personal liberty which made them more nimble and innovative than the totalitarian eastern civilizations. The plague begot in the Renaissance which begot nimble and powerful nation states. These states were guided by the rule of law instead of some totalian and arbitrary ruler, and thus were able to easily crush the moribund civilizations of the east. ohhh!!! u r a western biased lunatic, its my fault to fall in argiments with a biased lunatic like u.go to the border n see if ur western equipment can save u,whereas it has rusted ur power of analysis about miltary n moral power of russia n us. please dnt waste my time by aributing natural calamities to ussr,while sparing usa of billions of intended deaths n use of nukes n colonial loot by nato members of the east for the last many centuries. Every one of those incidents were I mentioned were the caused by deliberate decisions in the USSR leadership. Learn some world history. I’m done here. You don’t need me to illustrate you are an under-educated zealot. Its obvious from your posts. n russia has the capacity to neutralise whole nato i.e.bunch of traditional colonial parasites,which sold and still selling humans to corporates n isis n alqaidas n creating terrorist outfits just to loot resources just as it wad 300 years ago.u devastated whole american rich civilisation just for gold n land.u devastated aboriginals in australia just for land.afrika,japan,korea,kosovo,iraq,afganistan,libiya,syria,egypt,south america,fauklands,vietnam ukraine n now yemen,whats ur standard ??? So, I see, the Soviet method of plunder is vastly superior. Let’s ask those at Chernobyl, or the fishermen from the Aral sea, or the those caught and killed in the various purges, or those killed by the forced famine in 1932-33 designed to liquidate the Kulaks and killed at least 7,000,000 Russians. Or the colonialization of eastern Europe, North Korea, and the Balkans after WWII. Amrit, I didn’t plunder any region any more than you did. But to attach moral superiority to a corrupt, authoritarian regime such as Russia is enormously juvenile and short sighted. As is the silly chest beating over the “power” of Russian military. u r pathetically least informed about world politics depman.russia is father whom whole bunch of european colonial crooks wants to face with mother usa.but they say,though east is sleeping now,but awakened east shall sniff away colonial paradites in a single sniff. The USSR never fought the Taliban in Afghanistan they fought the Pro-Western US backed Mujahideen that requested US assistance. The Taliban didn’t even exist at that time and came later with the help of Pakistan’s ISI and Saudi Sheikh financed Wahhabist Madrassas located in Pakistan (mainly). Also many folks say that the USSR invaded Afghanistan but that is a myth. The Leftist government (Taraki’s PDPA and the communist Democratic Republic of Afghanistan) that had gained power in Kabul asked the Soviet leaders for assistance (invited them into Afghanistan). While most think of Ahmad Shah Massoud (The Lion of Panjshir) as the leader Gulbuddin Hekmatyar was also one. He may very well be considered one of the original Daeshbags based on his Wahhabist Fundamentalist views and backstabbing, double crossing, two timing, treacherous ways. Ole Gully was BFF’s with the ISI and folks at the madrassas plus had an almost magical talent for causing mayhem and madness since his college days in Kabul with Massoud. Back then when they were little more than kids was the first time good ole Gully tried to assassinate the Lion. The first major military activity of the Taliban was actually in October–November 1994 when they marched from Maiwand in southern Afghanistan to capture Kandahar City and the surrounding provinces, losing only a few dozen men. Sources: Taliban: Militant Islam, Oil and Fundamentalism in Central Asia, Second Edition by Ahmed Rashid. As well as 2 Tajik Afghans that live with and work with my family, friends and other employees plus some others as well. What this article sidesteps is the safety of Tomcats themselves. They are described as kind of a silver bullet that America disbanded for no sensible reason. Sounds improbable. 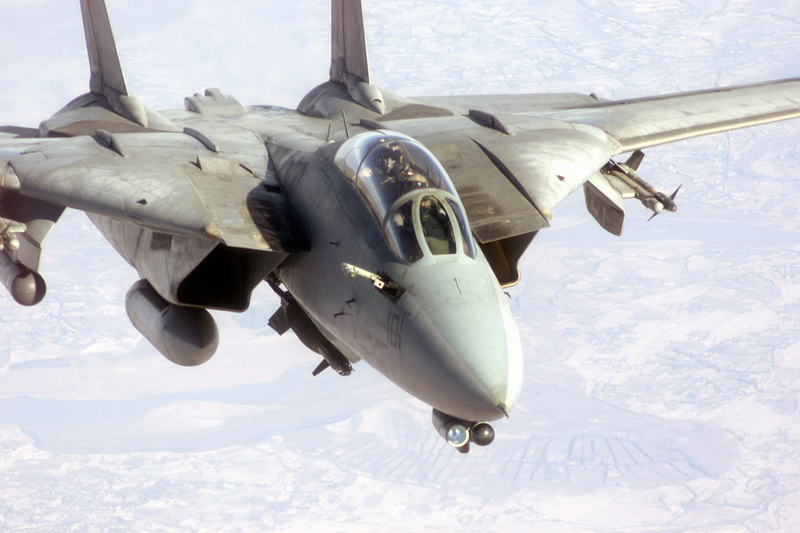 Okay, let Tomcat be the primary repellent against bombers. That just means the attack at any AUG should go in two stages. First wave should either destroy Tomcats or make them busy with their own survival, then come bombers and engage the ships. But you do understand that the Phoenix negates both attacks? It’s not just the Tomcats, it’s the missile and its removal that are the problems there. Not just the method of releasing/deploying them in this scenario. How long can the missile go without “mid-course updates” which would be most probably jammed out? 18 km is minimum when the missile activates its seeking head right after launch, but what is there an extra distance it can fly without both mid-course updates and it’s own radar?